Tommy Fleetwood went eight shots better than day one as he soared up the leaderboard at the DP World Tour Championship, reigniting his chances of fending off Justin Rose in the Race to Dubai. Fleetwood started the week 256,737 points ahead of Rose at the top of the Race to Dubai Rankings presented by Rolex but was second in the projected standings after a 73 in round one. Wozers. Get in there, Tommy!! 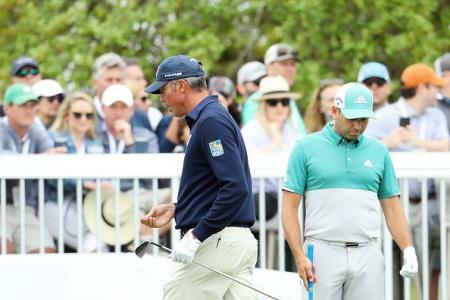 After Rose's first day heroics and Fleetwood's disappointing +1 score, the pressure was on Fleetwood, who had an early tee-time as his rival got a lie in to go out in the penultimate pairing in round two. What followed was quite simply stunning, with Tommy firing eight birdies and a bogey to get to -6 before Rosey had even teed off. The 26 year old knows that if Rose does not finish in the top five this week then he will be crowned Europe's Number One but, with the 2013 US Open champion arriving at Jumeirah Golf Estates after back-to-back wins, only a victory in the eighth Rolex Series event of the season can guarantee the Harry Vardon Trophy. "There's still a tournament to play for and there's still a Race to Dubai to play for," said Fleetwood. "So there's two things going on and you've just got to concentrate on one, which is kind of each day as it comes and try and do your best in the tournament. "But I needed a low one today for sort of both purposes, maybe. The only thing that you can control is the tournament in a way. Race to Dubai, I can't do anything about the maths or what Justin does or anything. "So the sole focus was to try to get back into this event today. I knew I needed a low one." In stark contrast to yesterday's bogey, double start, Fleetwood begain with two birdies in the first two holes to get into red figures for the week and when he holed a six-footer down the hill on the fifth and a 15-foot right-to-lefter on the sixth, he was on a charge. The three-time European Tour winner made a stunning eagle on the seventh on Thursday but a dropped shot there in round two threatened to stall his momentum as he turned in 33. An approach to ten feet on the 12th and tee-shot to similar range on the next put paid to those fears, however, and another excellent second into the 15th had him into the top ten. An excellent lag putt from just off the green on the last set up another birdie and after starting the day seven shots behind Rose he had caught him, for the time being at least. "It's all about how you react to stuff, isn't it?" he added. "Yesterday I was really happy with how I reacted early on because I got off to a bad start and then I got back into it and then I didn't really play great and missed a couple of putts. "It was a big day but today you get over it, you move on, there was three rounds of golf to play, still - now there's two. 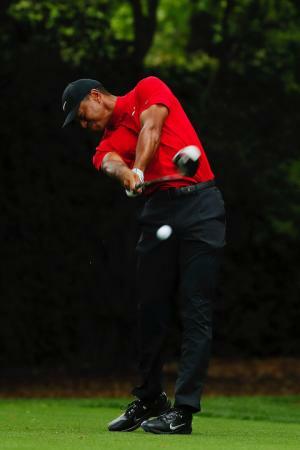 "My swing felt a lot better, I was on the putting green until dark last night and today was just a much better day. "You get the better conditions, the greens are perfect. I wouldn't say I hope it happens this time but the wind picks up in the afternoon. That time in the morning it was perfect golfing conditions and if you played well there was a score out there. "Early morning, if you get out there and post a score, you always feel better for the rest of the day. "I'm glad I've put my name up there, at least my name is somewhere now rather than the wrong end of the leaderboard. I'm glad within myself that I played like that today. It's nice to walk off feeling better."